Science. Experiments. Helping the world. All three things combined, to you, make up the perfect career. But what can you do that would incorporate your passions? 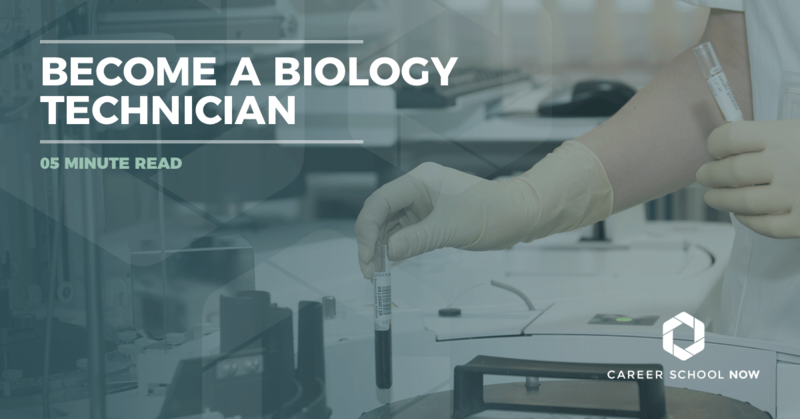 Well, if your analytical and observational skills are at par with your communication, tech, and critical thinking skills, then you may have what it takes to be an excellent biology technician. Read on to find out what biology technician careers are all about. What is A Biology Technician? As a biology technician, you’ll be helping biologists with important studies. Colleges and universities, governments, and anywhere with a research lab will be where you’re hanging out, doing your thing. You’ll be assisting scientists, mostly likely biologists, in whichever way they’ll need you to. You’ll be conducting experiments and studies on different types of living organisms, and because of this, some will be very dangerous and even toxic. You’ll follow strict protocol to keep yourself, your fellow teammates, and the rest of humanity safe. What? Haven’t you seen all those zombie apocalypse movies? Be prepared to be working under a wide range of conditions, from inside an office to alongside the Amazon river, and as a second pair of eyes, ears, and hands. You are part of a team of other scientists and technicians tasked with finding different mediums of making our quality of life here on earth even better. Just as an FYI, your time will most likely be divided between fieldwork and and the lab. Find a local biology tech program. If you’re determined to go into a biology-related field, you’ll need to take as many high school science and math classes that you possibly can. This will give you a solid foundation prior to entering your college program. There are two educational paths you can take. There are both associate and bachelor’s degrees available in becoming a biology technician. According to the Bureau of Labor Statistics, a bachelor’s degree is required. However, the National Science Foundation disagrees, stating that associate degrees are perfectly suitable for biology tech careers. Associate Degree: Your classes will include subjects such as biotechnology, biology, microbiology, biochemistry, molecular biology, chemistry, physics, and ecology. You’ll also be taking core classes. If you decide to pursue a bachelor’s degree, these courses will transfer, but it will depend more on the school you’re choosing to attend. An associate degree will have you ready for an entry level position in the field. Bachelor’s Degree: Bachelor’s degree programs go deeper into the subjects. You’ll be taking your core classes, but your major courses will be genetics, chemistry, botany, animal behavior, human immunology, along with lab work that will reinforce safety and ethical regulations for experiments. In most bachelor degree programs, you’ll have the opportunity to choose one of many specialties. Your education doesn’t stop once you earn that degree. In fact, there are other things you’ll need to do in order to make yourself more desirable to the hiring department and beyond. Lab experience: During your school studies, you’ll have ample time to gain lab experience through internships and collaborating with your instructors. You’ll also need to participate in research, where you’ll have work published in journals while receiving college credits. Some companies will offer onsite training, or you might have to take a very entry level position until you’ve gained enough knowledge and experience to make yourself more marketable. Select your professional specialization: If your schooling didn’t allow you to choose a specialty, you’re going to want to start looking into that. Areas you may want to think about are animal behavior, community diseases, marine biology, endocrinology, among many other specialties and subspecialties. For biology technicians, the specializations will be more in the genetic, medical, or pharmaceutical research aspect of all the different fields. Advancement and more job training: Chances are, you’ll be taking an entry level position and working your way up the ranks. Even with a bachelor’s degree and the experience you’ve gotten from lab work and internships, you may still need more. But hey, everyone starts somewhere. Biology techs with a bachelor’s degree and a lot of experience can eventually become scientists. However, that position is very often delegated to someone with a master’s degree. Also, consider getting certifications through Bio-Link. Join professional organizations: By joining a professional organization, you will increase your chances of advancement. There are many that you may want to look into. Through these organizations, you can find others in your specialty, as well as utilize everything they have to offer for professionals in the field of biology. Pretty much every job on the planet comes with both positives and negatives. Biology techs are no exception to that rule. Job growth is predicted to be above average between now and 2026. A lot of lab experience will increase your chances of finding a position. A biology technician’s salary is less than the national average of $55K. Instead, the median salary is over $43K with the highest 10 percent of those in the profession earning well over $70K. Most biological technicians work a full 9-5 day, five days per week. However, where you work determines your hours, which can be irregular. If finding cures to diseases, discovering new drugs, and improving the quality of life appeals to you, then you truly have found your calling as a biology technician.